Whether you’re in the canned or home-pureed pumpkin camp, sometimes you have just a little bit of pumpkin puree left over after a recipe. It’s too sad to waste even a half cup, especially if you took the time to cook and puree your own, but sometimes it’s too difficult to think of ways to use every little bit of leftover vegetable that lands in your fridge. When it comes to pumpkin, I got you covered. 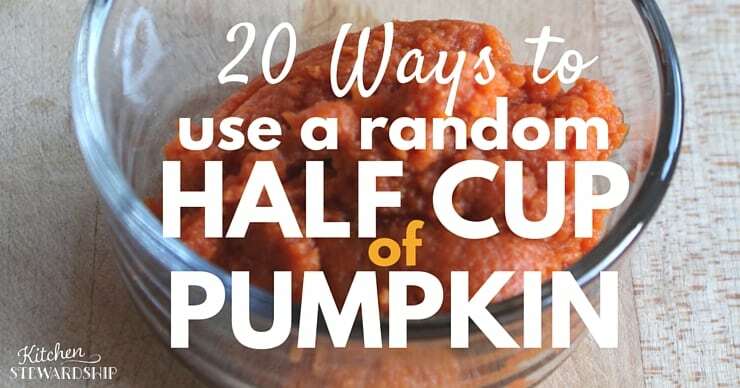 Here are more than 20 ideas that will use up a half cup of pumpkin (some can adapt to a bit less or more). 1. 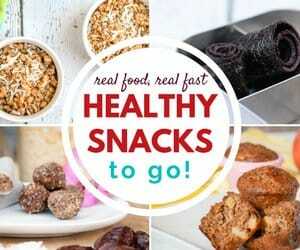 Stir into warm oatmeal with some cinnamon or pumpkin pie spice, a tablespoon at a time and taste as you go. 2. 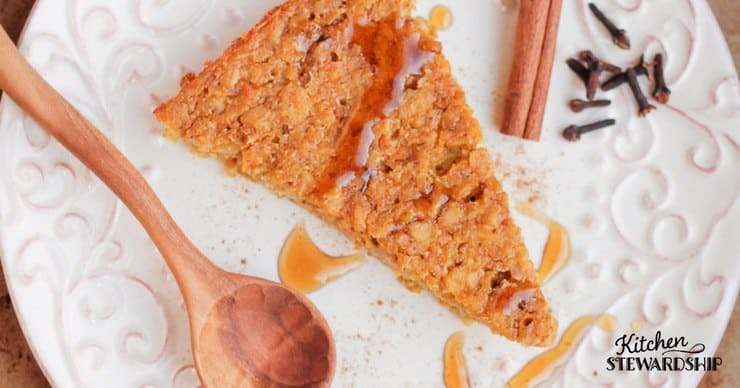 Make an 8×8 dish of Pumpkin Pie Baked Oatmeal. 3. Pumpkin smoothies – just toss the pumpkin into any smoothie. It’s so mild it practically dissapears. You can use them for pumpkin recipes (about 8 cubes makes a cup at my house, but you’ll have to measure your own). You can substitute part of the oil/fat in zucchini bread without changing the flavor very much. 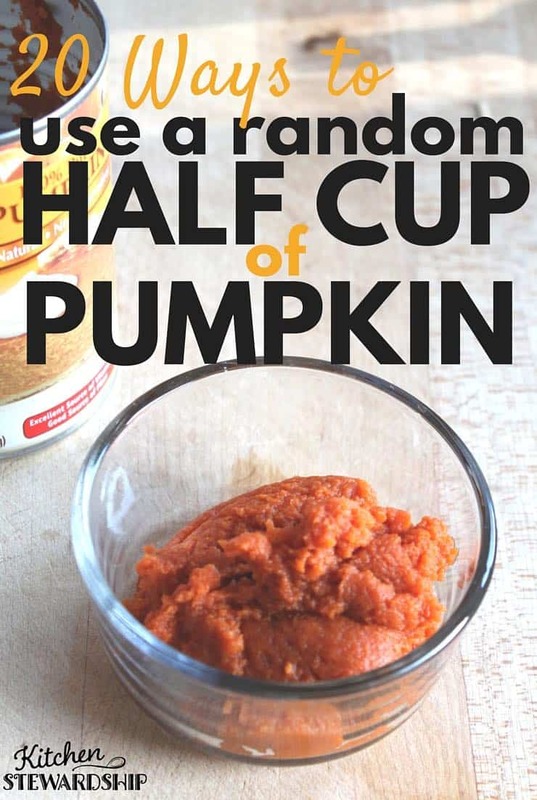 Many people do this with applesauce, so try pumpkin next time – a lot more nutrition and fewer carbs! Toss a cube or two into your spaghetti sauce for pumped-up nutrition. Mix a few cubes into a soup. You could even try pumpkin oatmeal with one cube (cools it down for the kids and makes orange stripes by stirring). 5. 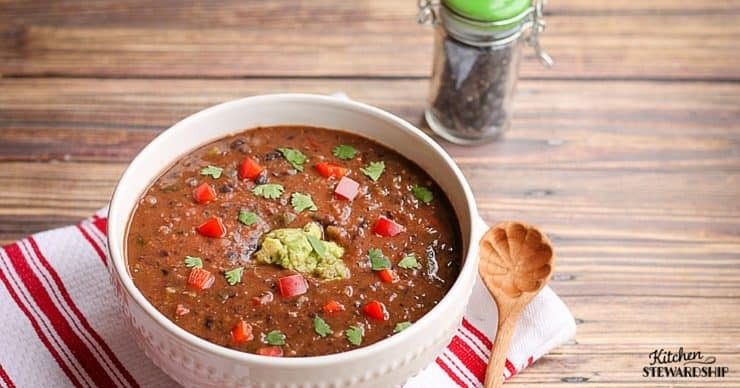 Stir into chili, like this taco quinoa chili or cheesy white chicken chili – it will disappear with no one being any the wiser, and you get a little boost of vegetables at dinner. 6. Add to spaghetti sauce or any red sauce, boosting the veggies without changing the taste hardly at all. 7. 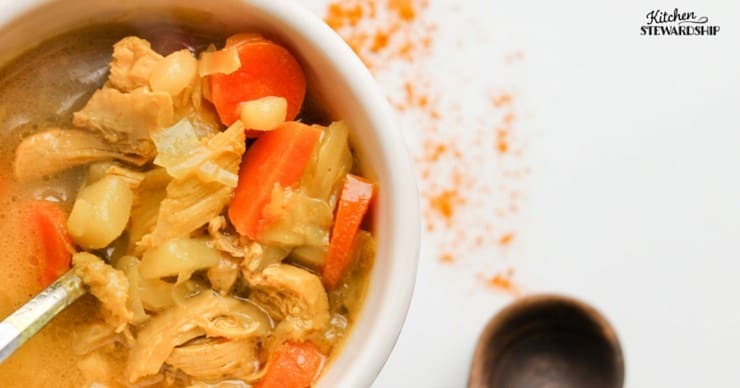 Stir into a chicken broth-based soup, like this cabbage soup (but you could add it to many soups and get away with it). 8. Make a single batch of granola and add the pumpkin to the liquid mixture. You can cut down a little on the fat or water, but this recipe can also handle the extra pumpkin without getting too crazy. 9. Stir a tablespoon at a time into homemade yogurt; add cinnamon for a nice touch. You might not even need sweetener with this, mmmm…. 10. 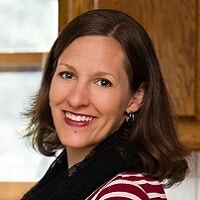 Use in place of half cup of fat in many muffin and quick bread recipes. Not that fat is bad for you, but veggies are always good, and definitely better than the added carbs of subbing applesauce for the fat. 11. 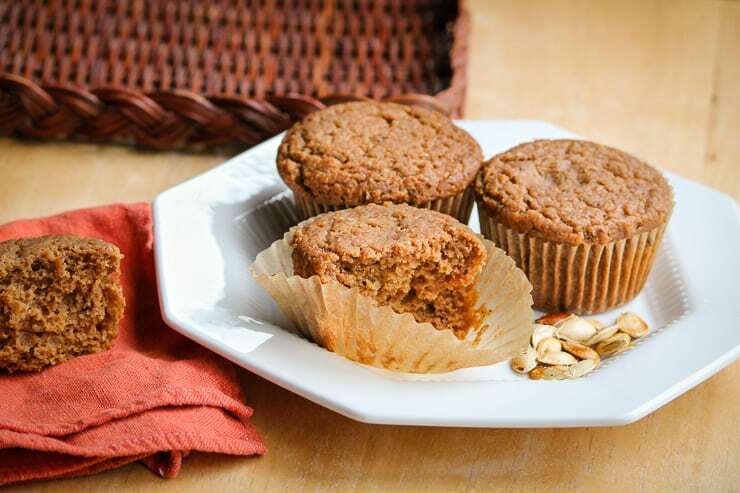 Make a small batch of 6 Gluten-free Pumpkin Muffins or the original Healthy Pumpkin Muffins, or add that half cup to the next full batch. The recipe can handle it. 13. Add to homemade popsicles along with orange juice and coconut milk like this. 14. Add to homemade hummus, either just adding it in or using it in place of the sweet potatoes in a recipe like this one from MOMables. 16. Beef stew will also hide a half cup of orange vegetable without a problem. 17. Whisk it into a creamy stir-fry or alfredo sauce. 19. Make 4 mugs of this pumpkin spice latte. 20. 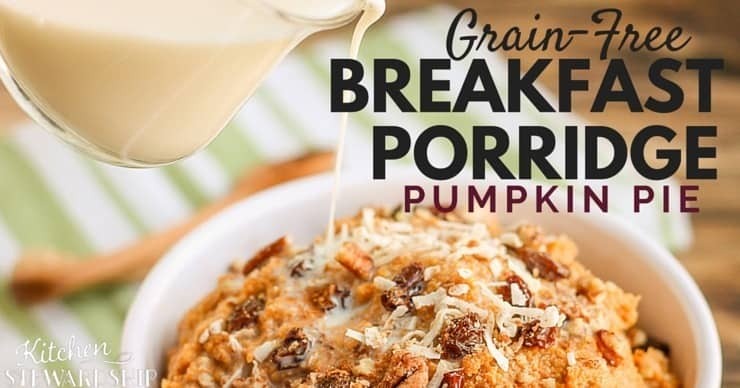 Make my Grain-Free Pumpkin Breakfast Porridge made with coconut flour (use the code STEWARDSHIP for 10% off at that site!) 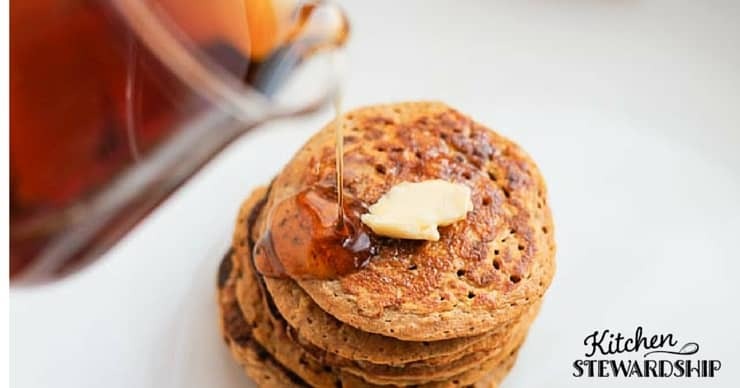 (recipe found in The Healthy Breakfast Book). 21. This Instant Pot mac n cheese recipe gets its orange color from pumpkin puree, and you’d never know it by the way it tastes. Pure cheesy goodness. 22. 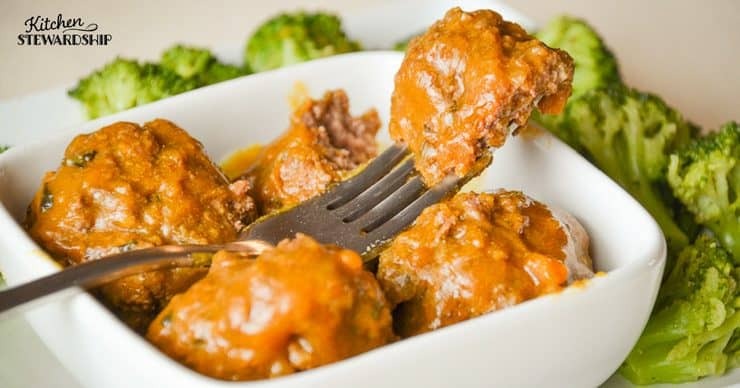 These meatballs are cooked in a sweet and sour sauce made with pumpkin puree. 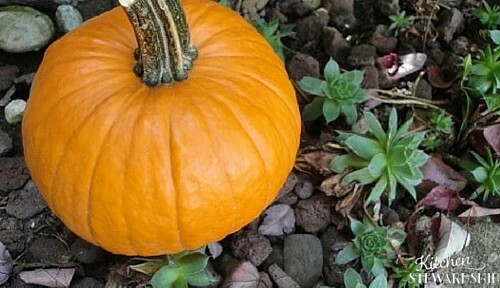 What are your favorite uses for just a bit of pumpkin? Please leave ideas and links in the comments so this post is even more helpful! Disclosure: There are affiliate links in this post to MOMables and Amazon from which I will earn some commission if you make a purchase. See my full disclosure statement here. 1 C nut butter (peanut or almond). This is hilarious! I think I’ve done every one of these. In fact, just yesterday I had that half cup sitting in my fridge. I added it to a smoothie. It’s also great as an addition to a regular chocolate cake recipe. There is no change in the taste, but it makes the cake moist and rich. Great, it’s only six am and now I want cake! I just opened a can to make pumpkin gingerbread and now I have probably a cup and a half left over. Thanks for the list. Perfect timing. These are great ideas, thanks! But I’m a little confused by you saying that adding pumpkin was a good alternative to added carbs from subbing applesauce in baking. Maybe the paleo understanding of carbs is different (I don’t know; I’m a low-fat high-raw vegan), but pumpkin is a carbohydrate, too. Just a little confused there. You took me by surprise! I never looked it up, just always thought of applesauce as a fruity thing pretty high in natural sugar, and pumpkin not as much. Feed it to the dog. Works well for settling their stomach issues whether it be stopped up or going too much. Yep…we freeze plops of pumpkin purée …any time they have tummy problems we just grab a few and pop them in the microwave for a few seconds to soften…they gobble them up like candy. Works well in BBQ sauce, too. Gives body. Add spices and just eat it. Quick pumpkin pie flavor, without making a crust. Thank you for this list! Especially, this time of year. Canned pumpkin is good to give to overweight dogs to stretch out their canned dog food without too many calories. As the owner of two rather chubby basset hounds I need to do this more often. It’s suppose to be good for the skin. I put it on as a facial. Leave on for about ten minutes and wash off. It feels so cool and refreshing! I feel like a genius! I do almost all of these. Can’t.stand.wasting.food! I’ll share on Fb now :). once a month, the first tbsp from an open can gets mixed in our cat’s canned food to help prevent hairballs. Then onto the people recipes. Wow, that’s a lot of great ideas! My favorite way to use leftover pumpkin is just to warm it up and mix in some butter, cinnamon, and maybe a little honey, and eat it! Another option is to combine it with your other random leftover fruit in a cooked fruit sauce for breakfast or dessert topping. Such a helpful list! When I actually get around to it, I like to use leftover pumpkin in the egg batter for french toast. Baked, it makes a nice crust and then I freeze them for quick breakfasts. 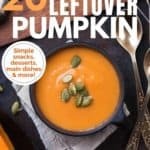 I had about 5 tablespoons of pumpkin puree left after a baking day. I put it in the refrigerator and used it the next week in the filling for stuffed squash. It’s great for dogs!!! Add to their dry dog food!